Which brings me to my first step… creating a race schedule. The only criteria I have ever had is that a race location must be within driving distance. This criteria actually opens up several races in my radius through the Fall and Winter, and even Early Spring. In plotting out my schedule, I got stumped by having to pick between two races – the 26.2 with Donna Marathon for Breast Cancer or the Rock ‘n’ Roll New Orleans, which benefits several charities that I support, including St. Jude’s Hospital, Hope for the Warriors, and Operation Homefront. Rather than pick a race based on the price (entry fee is the same for both right now), or by which one looks more fun based on their website (because marathons are fun), I decided to post the question to several running group forums to get some feedback. The feedback I got was o.v.e.r.w.h.e.l.m.i.n.g., both positive and negative. From bad weather, terrible logistics planning, tainted water, to beautiful courses that are PR worthy and amazing crowds cheering you on. 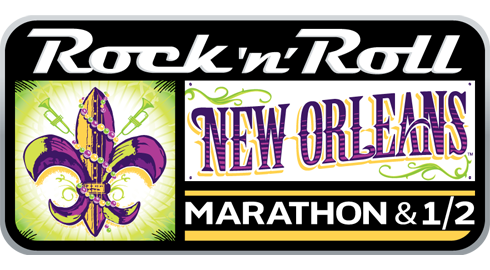 At the end of the day, more like the end of the month, and since I believe registration fees increase starting in August, I decided to sign up for Rock ‘n’ Roll New Orleans on January 25, 2015. The decision was based on the fact that I had several friends run the Donna and not finish in different years. Each had a different reason, but the fact that my amazing friends and runners were claimed victim on the course deterred me from picking it for 2015. I have not run in a race with over 5,000 people ever, and the last marathon I did had less than 300 people…. I’m very excited about running in a big race, but not about the potential bathroom challenges of a big race. Let the training begin…. well, maybe after this shin splint goes away. That’s really exciting and crazy! Good luck!